En route to Rome by train, Lucy is spotted by famous Italian cinema director Vittorio Fellipi and chosen to play a part in his new movie, "Bitter Grapes". Assuming the picture concerns the Italian wine industry, Lucy sets out to immerse herself in the role. In an effort to "soak up some local color," she journeys to Turo, a small town on the outskirts of Rome, well known for its traditional wine-making methods. Dressed in typical peasant clothes and carrying a cluster of grapes, Lucy nonchalantly wanders into a vineyard inhabited by a motley conglomeration of Italian-speaking women. When the male supervisor spots Lucy's feet (one of the local women likens them to "big pizzas"), she is quickly dispatched to the wine-making area. Lucy steps into the huge, grape-filled vat along with a local gal, Teresa, and the two proceed to stomp the grapes into chianti. Lucy finds the work fun and has a great time skipping through the mush and frolicking with her co-worker. 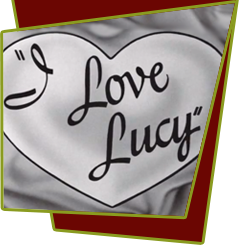 When the diversion wears off and Lucy decides to take a short rest, her partner disapproves. This difference of opinion leads to a grape fight as Lucy and Teresa battle it out in the wine vat, scrapping like street urchins. Grape-stained and defeated, Lucy returns to her Rome hotel where film maker Fellipi awaits her. He explains, somewhat belatedly, that the film has nothing to do with the grape industry; the title is merely symbolic. Her part was to be that of a typical American tourist. In her present condition, Mrs. Ricardo will be unable to begin filming her scene the next day. Lucy: "Can't I be an American who's so homesick, she's blue?" No, says Vittorio, who turns around and hires Ethel for the role. Special Notes: The grapes were supplied by the Grape Grower's Association of California. They sent so many that the crew took them home on Thursday night, after filming, so they wouldn't go bad over the weekend. Water-based lilac coloring was used to turn Lucy's skin purple, due to the skin sensitivity of Lucille Ball. Bloopers: In the train, when Ricky, Ethel and Fred shout out the phrase: "Has she ever considered acting," you can see the Italian director liping the same line. Teresa Tirelli (Grape Stomper) did not speak English. Because of this Tirelli took the fight seriously and Lucille Ball almost drowned in the vat.